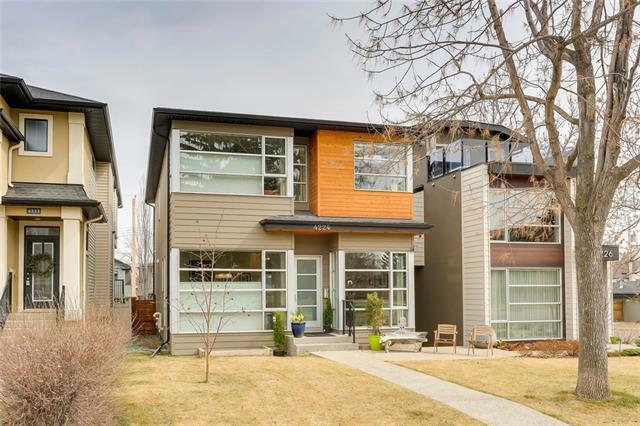 DESCRIPTION Leslie Mannix Design presents this stunning CUSTOM DESIGNED, DETACTED home on a bright CORNER LOT in the coveted, inner city community of ALTADORE. A meticulously built, one of a kind luxury living space with precise attention to detail, impeccable finishings & superior craftsmanship. This 2.5 storey masterpiece boasts exceptional curb appeal with large windows, set backs & eye catching architecture. Once inside, feel the immediate warmth & style of the home w/ a striking foyer welcoming all to the open-concept main floor. Amazing details throughout w/ a feature staircase, WOOD burning & gas fireplaces, chefs kitchen, large island, ample storage & sliding French doors lead to the SOUTH backyard & 640 sq ft of decked outdoor living space. Family living is made easy with 3 bdrm, each with their own en-suite & TV/sitting room on the 2nd level. The master retreat has a spa-like ensuite which features a large steam shower and separate tub that fills from the ceiling + spacious walk-in closet/dressing room. The third floor makes for a gorgeous home studio or bedroom w/ ROOF TOP DECK. The fully-finished basement hosts a 4th bdrm and entertainment area & beautiful hardwood w/ in floor heat. The OVERSIZED, double garage with ample ceiling height to add a car lift & a matching, custom storage shed for all your extra items to be stored separate from the garage. Upgrades throughout, nothing was missed in the design of this UNIQUE property. This stunning home is the pinnacle of luxury living! Home for sale at 2003 43 AV Sw Calgary, Alberts T2T 2N3. 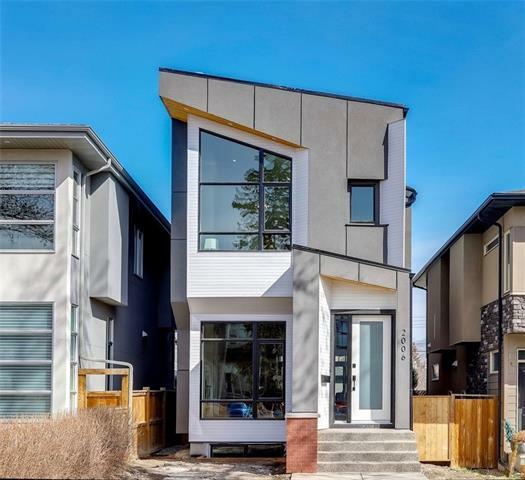 Description: The home at 2003 43 AV Sw Calgary, Alberta T2T 2N3 with the MLS® Number C4236882 is currently listed at $2,085,000.